Affiliate marketing, as the name suggests, is a marketing platform. In this, business rewards one or more affiliates for each visitor or customer brought about by the affiliate’s marketing efforts. In simple words, publishers will be promoting the certain business services or products on their blogs, so when a call to action is performed, publishers will be rewarded. You, as a publisher, will simply be linking up a buyer and a seller, and you take a commission on the sale that has been referred by you. You will learn about the different ways in which you can be rewarded in the later section. Pay per Lead: In this, the advertiser pays the affiliate based on the conversion of leads, such as a file or software download, completion of a sign-up form for a newsletter, trial offer sign-up, or other desired action. 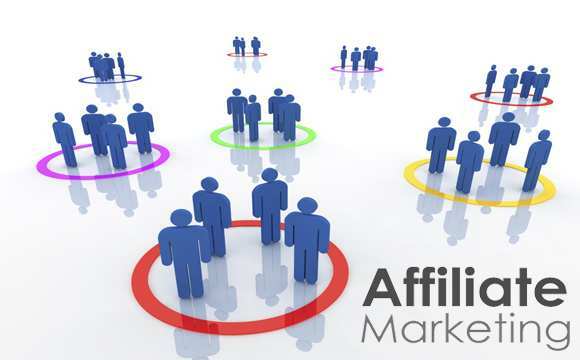 If a customer follows an affiliate link to the advertiser’s site and completes the required action in accordance with the affiliate agreement, the affiliate is paid. Pay per Sale: In this, the advertiser pays the affiliate based on the conversion of sales. If a customer follows an affiliate link to the advertiser’s site and makes a purchase in accordance with the affiliate agreement, the affiliate is paid. Affiliates can earn a higher commission through pay-per-sale affiliate programs, however, these types of programs usually have the lowest conversion rate. Pay per Click: In this, you get paid based on the number of visitors you redirect to the Merchant’s website from your affiliate site, whether or not a sale is made. One of the reasons why every blogger should start affiliate marketing is, there is no additional investment to start affiliate marketing. You have a blog and that’s it. You are good to go! You just need to join an affiliate program (that is also free) and get traffic and sales to your site. Even once you start earning an income with your site, your overheads will still remain low. You might have already monetized your blog with some ad networks. Just think how much you are earning through it in some given amount of time. Apart from few ad networks, the payout is very less. But using affiliate marketing, you can earn $0-$100+ on single sale only. This is one of the good reasons why every blogger should start affiliate marketing. No doubt it is difficult to redirect your visitors to purchase or sign up for a service. But if you have decent traffic then it is not much difficult. There are many affiliate programs available. Further, you have a wide range of options to select your products that is best suitable for your blog. Online marketing gives you the opportunity to reach people all over the world easily. You don’t need to worry about any other ad hoc activities such as how the seller will provide end product to customers. This is all taken care of by the seller. If you are monetizing your blog with ad networks, I would recommend you to start affiliate marketing as well. Though it is not as easy to earn from affiliate marketing if you have huge visitor base you should give it a shot. You will soon start enjoying additional money coming to you. I am currently using ShareASale, vCommission, WP Engine, Grammarly, OptinMonster, MyThemeShop, DreamHost affiliate programs and have liked it due to their wide range of options available and monitoring and analytical abilities on the sale and other activities from my account. If you also want to start affiliate marketing, you can Sign Up here. Great post. I’ve been rejected by AdSense 10+ times (lol). So, after reading your post I made my mind to focus on affilitate marketing. I made this: http://www.silentpoints.com/deals-and-coupons/coupons-and-deals/ 😀 So, from now I will write about the best deals and coupons available online. Do you recommend me to read any ebook on this? Well, I’m a complete newbie on affilitate marketing.